Malaga belongs to the international Project of Smart Cities, a large European initiative of eco-efficient cities. Its goals are to increase energy efficiency, reduce CO2 emissions and increase the use of renewable energy. Malagacar.com is also contributing to environmental protection by investing in green rental cars, which are those that produce less than 120 grams of CO2 per kilometre. The best thing is that you won´t spend a single Cent more for helping to reduce levels of CO2, as renting a green car is as cheap as renting a standard car. In fact, it is cheaper because due to their new engine technology you can save up to 30% on fuel without changing the car’s performance. Green cars are available now at Malagacar.com in several car groups and prices. As you can see, by using this type of vehicle there are advantages not only for the environment. Book your favourite model in the eco-version and enjoy a smart car in a smart city! Examples for green cars available at Malagacar.com are for instance Ford Ka, Opel Corsa, Ford Fiesta, Fiat Panda, Seat Ibiza, VW Polo, Opel Astra, Peugeot 308, Seat Leon, Fiat 500 Cabrio, Audi A4, Mercedes C Class and BMW 3 Series. Although we might not ensure a particular model, we will give you another green car with the same features. 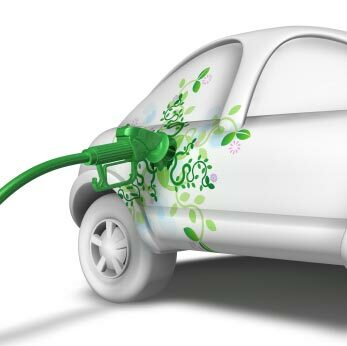 Have a look at our eco-friendly cars and tips for greener driving. Clicking this link you can view the full range of rental cars at Malaga airport and prices. I really like what you are doing. good service everytime I have had a car from. I always recommend you to my friends and collegues. well done! Do you have a branch in minorca ? I like the fuel policy. we got ripped off in minorca on fuel. Hi Robert, thanks a lot for your appreciative comment. Unfortunately, we only provide our services in Malaga. If you are looking for a full-full, there are some brokers that will let you filter their results to match your favourite fuel policy. You can also check out some local companies and have look to their terms and conditions.